As we have thanked God of WHO He is and WHAT He does over the first few days of this series, we covered God the Father, and God the Son. Today we will thank God the Spirit. The Holy Spirit is present in this world from the beginning. The VERY beginning. As God created the universe in the first two verses of the first chapter of Genesis, we are informed that His Spirit was present. In the Old Testament, the Spirit moves prophets to speak the words of God, and He rests on kings (and also abandons them as they turn their backs on righteousness.) But it is after the resurrection of Jesus that God sends the Spirit into every believer. WHO God is in the Spirit, and WHAT He does for us and in us is transformative and deserves our praise. So let’s look at some Scripture and see some of what we need to praise. Jesus’s last recorded words to His disciples on earth promise power from the Holy Spirit to witness of Jesus to the world. I don’t have to be brave enough or smart enough on my own to be a witness- the Spirit enables me! The Spirit leads me out of the spirit of slavery and fear, and into the spirit of adoption so that I can call God Abba and experience acceptance and security. It is by the Spirit’s confirmation in my heart that I know I am a child of my Heavenly Father. I often feel inadequate for the demands of life, but the Spirit strengthens my inner being and grounds me in love. I easily fall into worry and fretting, but the promise of the Spirit is that if I set my mind on Him, I gain life and peace. What a promise! Not only does the Spirit help me where I am weak (and boy do I need help! ), but He also actually prays for me. He intercedes for me, praying according to the will of God. The Spirit gives every Believer a spiritual gift. I have a gift to minister with, if I will use it. His presence will also grow spiritual fruit in me, when I give His presence free rein in my heart. The Spirit makes all this available to me, but I do have to participate and use what He offers. I have so much to thank the Lord about in regards to the Holy Spirit. The gifts, fruit, strength, and peace He brings radically changes my life. The Spirit also marks me. In the most beautiful way possible, I no longer belong to myself or to the world. I belong to Jesus. Today let’s thank the Lord for His amazing ministry of the Holy Spirit. What God wants to accomplish in our lives through the Holy Spirit is transformative. But here are some questions to ask. Am I continually submitting myself to the Lord to be filled with the Spirit? Or am I slugging away in this world in my own power? After we finish thanking the Lord, let’s stop and asked to be filled with the Spirit instead of being filled with the concerns of the world. What a difference that would make! Thank You for the Holy Spirit. I can hardly believe You would place the presence of Yourself in me. I sense both the honor and the responsibility of that. Thank You that along with the task of being Your witness to every part of the world You take me, You also give me the power of the Spirit. You have never required me to be strong or brave enough on my own. You have always willingly empowered my ability to answer every call You give me. Thank You for the assurance of adoption You give me through the Spirit. I know I don’t deserve this relationship, and I confess sometimes I doubt that You could actually love me that much. I am so grateful for the assurance of being Your child that the Spirit gives me. I am no longer a slave, but a daughter. The demands and challenges of life often weigh me down. Thank You for the presence of Your Spirit which renews my inner being. I would never be able to love like You do without Your Spirit grounding me in Your love. Please help me to continually set my mind on the Spirit so that the Spirit controls my thinking rather than my worries. I am grateful for the life and peace You offer. You know my weaknesses and where I stumble. Thank You that the Spirit prays for me. 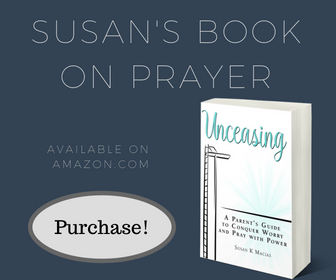 It seems unimaginable that the Holy Spirit would intercede for me, yet it is so, and it makes all the difference. Thank You for the gifts and fruit that the Spirit makes available to me. Please forgive the many times I ignore these, and instead do life from my flesh. Thank You for what is available, and please help me walk in that power. I offer You myself, to fill, use, and dwell in. Please fill me up so much that there is no room for the world's concerns. May Your Spirit have free rein in every part of my life and heart. Let’s never take for granted the WHO of the Holy Spirit and the WHAT that He accomplishes. The Holy God, Jesus, and the Spirit are One and the One God works in our lives in amazing ways. 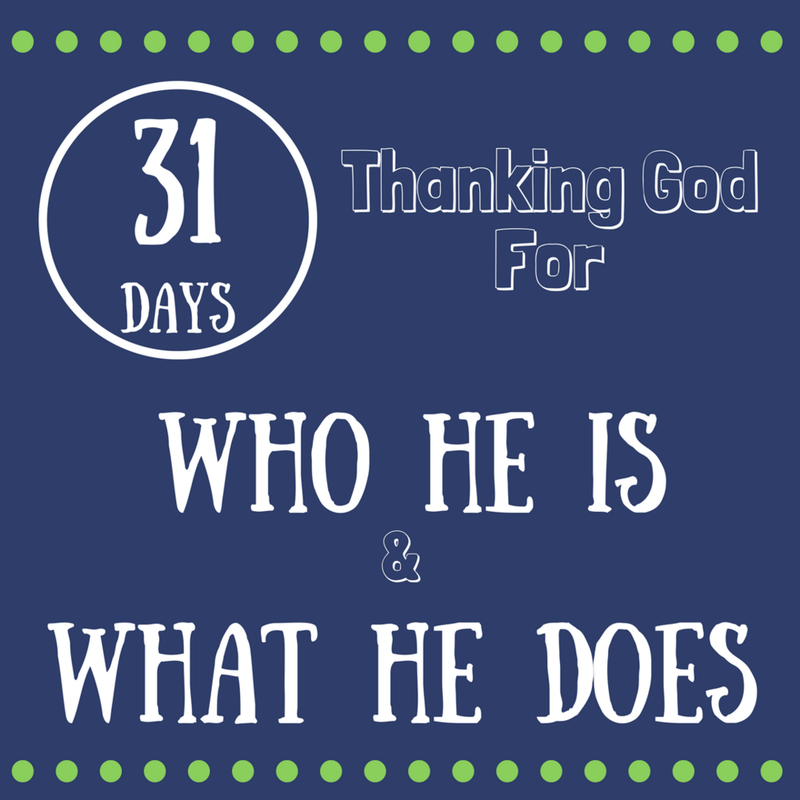 Keep praying through all 31 days and be blown away by the magnitude of all He (Father, Son, & Holy Spirit) does for us! There is a wealth of Scripture about the Holy Spirit. Here are a few to get you started if you want to study this further. 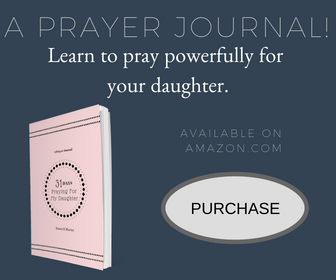 Receive these prayers every morning of January 2018 in your email. I promise you will be blessed to know your Heavenly Father better, because He is amazing!